I hope you’re all enjoying the weekend. Even if it’s saturday the work knocked on my door and I am SO lazy to do anything. That’s my main problem with the cold, it arrives and brings lazyness with it! I also know that there’s some time I don’t offer you anything, but I’m with lack of creativity. I’ve converted some objects, but after some time I forget to upload them. Here are three collections of paintings. I went for bright colors these weeks so I decided to give my sims some new paintings. Maybe you’ll like them too? My father is an artist. Since I was born I could feel the ink smells in my house. We always had paintings everywhere on the walls, but for my misfortune I didn’t get any artistic gene. When I was about 8 my father made a lovely bird drawing on my new bed headboard. It was extremely romantic, very shabby, a pair of sweet vintage birds. Maybe it’s because of that that I love bird paintings and why I’m always fascinated when I see one. 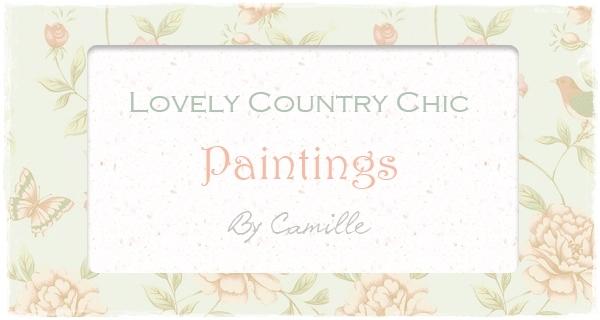 So in order to offer you the second part of my Country Chic set, I bring some lovely birds to you. These days I found this wonderful set converted by Ritsukacom and I automatically fell in love with the framed photos! 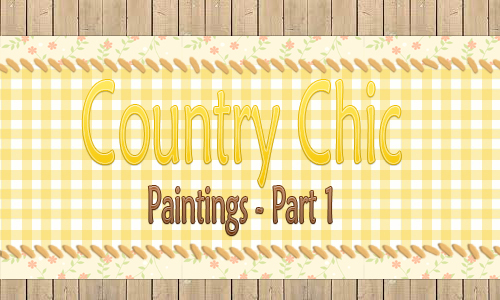 I wanted some recolors for it and when I started to search for paintings I saw that art.com has a section called Country Chic. I love many of its pictures so I decided to frame some of them to our sims. So here it is the part one, as I intend to put the other paintings of this collection for the game too.